In response to my previous post, I wanted to explore the history of Greece’s uphill, regulatory battle and the market for current brands exploiting Feta since countries outside the European Union are not bound by the European Commission’s regulation to change the name of cheeses designated as feta, but not produced in Greece. As early as the 1930s, Greece defined rules for other producers to ensure feta was produced according to long-standing traditions. In 1994, Greece successfully registered feta cheese as a Protected Designation of Origin (PDO) with the European Union (EU) as concerns about production increased. Eventually, other Feta producing countries viewed Greece’s PDO as a threat because, though 85% of Feta cheese consumption is in Greece, the country owns less than 30% of the global export market. In 1999, Feta producing countries brought the issue to the European Court of Justice arguing feta was a generic term that has become the common name of a product or good. The European Court of Justice forwarded the issue to a Scientific Committee to help decipher the production, consumption, and consumer knowledge of the term. The committee unanimously decided the term was not generic and reinstated the PDO again in 2002. 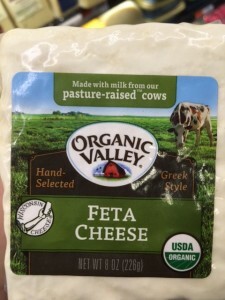 In addition, the Court determined because nearly all packing of Feta cheese referenced Greek culture, the court concluded packaging would cause consumers to immediately associate Feta cheese as a Greek product. Thus, the court concluded Feta cheese was not generic because of the long-standing, traditional, Greek production of Feta and consumers’ associations with the culture. Since this ruling, the PDO registration was confirmed. Unless a treaty is effectuated between countries and the EU, regulations governing PDO products do not apply. A recent trip to Whole Foods exemplified a lack of regulation (as evidenced by pictures in this blog post). Every cheese I found labeled as “Feta” was produced in Wisconsin. 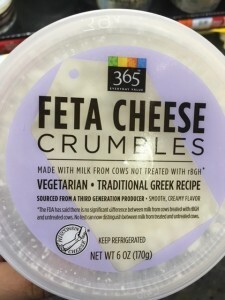 In fact, I did not find any cheese labeled as “Greek-style” or “salad cheese.” While this may not seem problematic for those who only care about taste and the convenience of buying from a distributor such as Whole Foods, stealing the word “Feta” without producing the cheese in Greece is problematic for small, Greek businesses. These small, Greek businesses compete with these larger, global companies outside of the EU, such as Whole Foods, who have the luxury to market their products as Feta cheese despite being produced outside of Greece. Because there are no legal means to protect Feta cheeses’ right to an appellation of origin, the EU is actively seeking to include provisions protecting the right in various treaties.